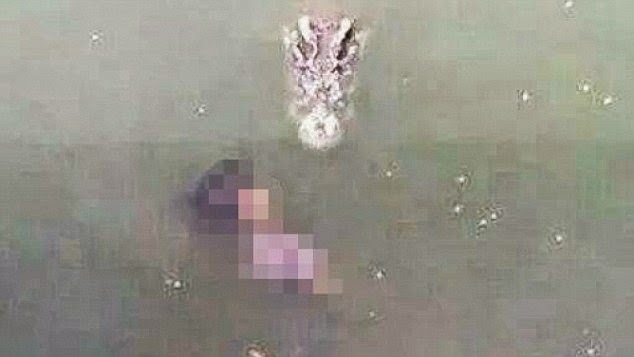 An elderly woman committed suicide by jumping into a pond full of crocodiles.Wanpen Inyai, 65, was torn apart after apparently throwing herself into a pit with more than 1,000 crocodiles at a zoo in Bangkok, Thailand.A disturbing picture was posted online reportedly showing a crocodile approaching her moments before she was attacked. Her sister Sunan Tharmna said Wanpen was depressed and had not spoken to anyone for several days before her death on Friday.CCTV footage reportedly shows her leaving her shoes on a walkway before jumping into the pit at the Samut Prakarn Crocodile Farm & Zoo, it was reported by the Bangkok Post. Officers said they were able to identify after finding her healthcare card floating on the surface of the water.